Providing you the best range of fabricated strainers, fabricated duplex strainer, duplex strainers, water strainer, industrial duplex strainer and design of duplex strainer with effective & timely delivery. We manufacture, Trade and supply an extensive array of Fabricated Strainer. Our given range of fabricated strainers is designed by using the contemporary technology & best quality material. Along with that, the offered fabricated strainers are properly examined against numerous quality parameters to make certain its flawless quality. In order to cater varied needs of our customers, the offered fabricated strainers are available at nominal rates with various specifications. 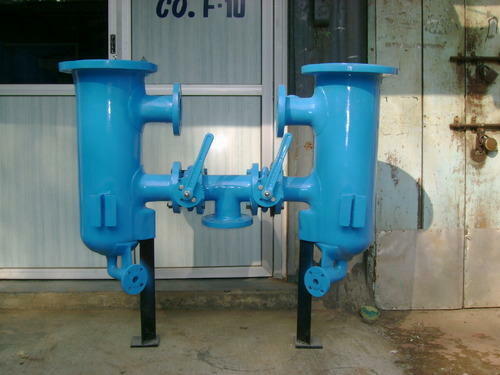 We bring forth to our customers, duplex strainers that are fabricated using carbon steel and other required materials that are procured from reliable vendors of the market. Widely demanded across different industries. Our offered products are also rigorously checked by our quality analysts to make sure that a flawless range is supplied to the customers. Applauded for their optimum performance, low maintenance and easy operations, our products are available at market leading prices. 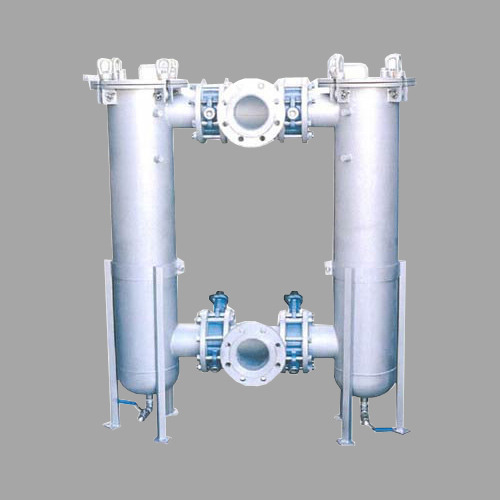 We are one of the leading manufacturers and exporters of high quality Duplex Filters. These filters are manufactured using very high quality raw material procured from the most reliable vendors of the industry. They are quality tested on various parameters to ensure their compliance with industry set quality standards. The entire process takes place under the surveillance of our expert professionals and are packed using very high quality material to ensure safe transportation. These duplex filter consist of two filtration chambers each rated for 100% capacity and are attached with easy to remove basket for cleaning. we manufacture and supply supreme class range of Water Strainer. Offered range is very special designed using quality approved vergin material under the guidance of skilled professionals in order to follow industrial norms. These products are tested on well-defined parameters of quality in order to eliminate flaws. We offer the entire range to our precious clients at market leading prices. 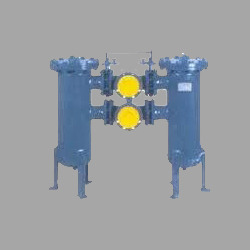 Fabricated Duplex Strainer is provided for uninterrupted use. 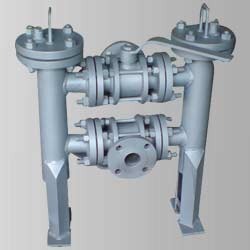 These strainers are designed as per free flow area requirement of pipeline. 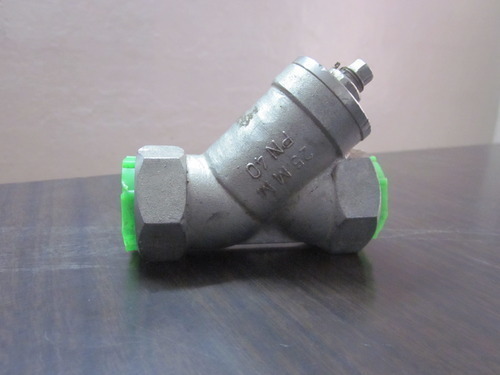 These strainers are manufactured using 3 way Ball Valve. We also offer design of Fabricated Duplex Strainer. Sizes: 1" to 20" NB. Flanged to 125/ 250 FF and 150/300/600/900/1500/2500 RF, can be drilled to BS tables, DIN and IS standards. Our organization is counted amongst the most distinguished manufacturers, suppliers and exports Duplex Strainers. All our products are developed at our state-of-the-art manufacturing facility using high-grade material that is sourced from well-known vendors of market. Post-production, our range is stringently inspected on certain parameters of quality in order to rule out every possibility of defect. 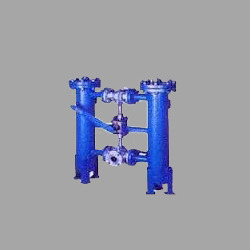 We are a Leading Manufacturer, Supplier & Dealer of Duplex Type Strainers. We are counted amongst the foremost manufacturers and suppliers of Duplex Type Strainers our products are manufactured using premium quality raw material that is sourced from the most reliable vendors of the industry. 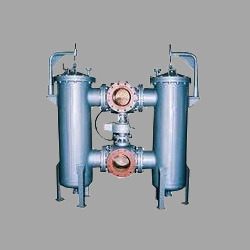 We have emerged as a renowned manufacturer of Duplex Strainer that is mainly used in fluid handling systems to shutdown the flow for filter cleaning. These precision engineered strainers can efficiently remove any type of foreign particles from the system and can easily withstand extreme working conditions hence, are highly demanded in the market. Ashi Engineering Co. Pvt. 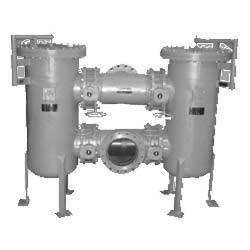 Ltd. offers a complete line of duplex strainers. A duplex strainer is used in applications where fluid flow cannot be interrupted when the basket is removed for cleaning. It maintains a continuous flow by utilizing two separate basket chambers with integral valves to direct flow into one of the basket chambers. 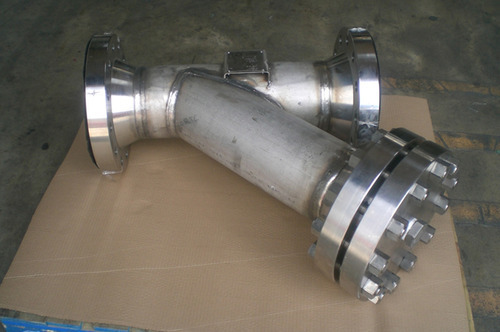 Duplex strainers are availabe with various sizes of connections, materials of construction, gasket composition, valve types, closure methods, and screen openings.